By Steven Lin - Sports Editor · December 1st, 2018 at 5:04 p.m.
Photo by Lauren St. Clair. Veronika Fagan, a B.C. 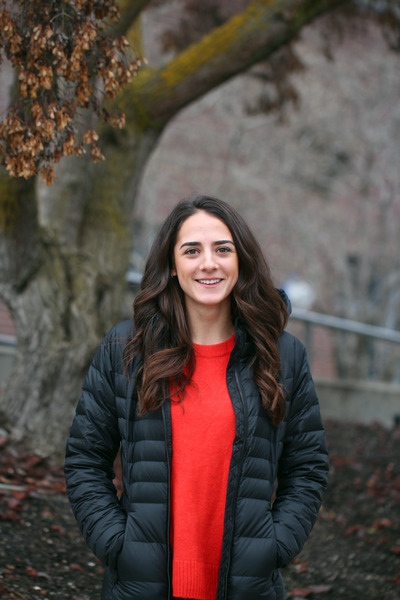 born athlete, has recently won the Canada West First Team All-Star award in her first and last U-Sports national championships in cross country racing. Fagan is currently in her last year in the university, majoring in Nursing. She started running at the age of 10 at Rose Valley Elementary. From grades four to six, she would win all of the competitions against other students from West Kelowna Schools. “I enjoyed competing. I definitely started out with a natural ability to run and turned into a passion gradually.” Said by Fagan. Fagan has been a Heat cross-country racer since her first year. In 2015, she finished in 19th place overall at the CCAA National championship in Brockville, Ontario, which not only helped the Heat to win a national silver medal, but also earned Fagan herself the UBCO Female Rookie of the Year. Since the start of her first school year, Fagan has won several awards and medals for the Heat Cross Country team each year, including the first ACAC Grand Prix race individually in her second year with a time of 20:46 for the 5km run course. The individual award has helped her to be named a CCAA All-Canadian and earned her the UBCO Female Outstanding Athlete of the Year. In her third year, Fagan helped the team capture the bronze medal in CCAA National champion as she captured the individual title in Blainville, QC with a time of 21:42 for 6km. All of her prominent stats led to Fagan’s participation in the U-Sports level earlier this year. She came out in the 18th spot out of 157 female runners in the U-Sports National Championship. This put her in the top 20 among university runners in Canada.